This image has absolutely gone viral. 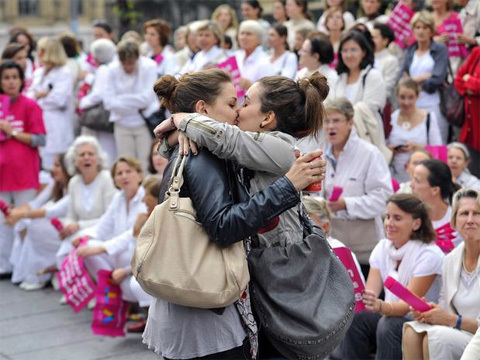 AFP photographer Gérard Julien captured this two girls kissing in front of an anti-gay marriage protest in Marseille, France yesterday. Julia Pistolesi and Auriane Susini, both in their teens, told the French gay magazine Têtu that they are both straight but decided to smooch to draw attention to the issue of LGBT equality.